Name Tag Clip Adapter Series! 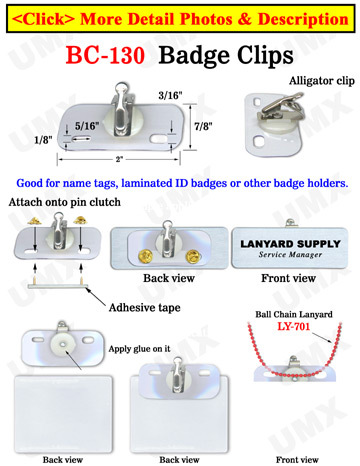 This name tag clip adapter was designed for plasitc or metal name tags. It comes equipped with two small openings for locking pins to go through.